TUCKED away on the first floor of a Taman Tun Dr Ismail shoplot is the charming Little Wonton Cafe, with a tantalisingly modern take on the traditional dumpling. 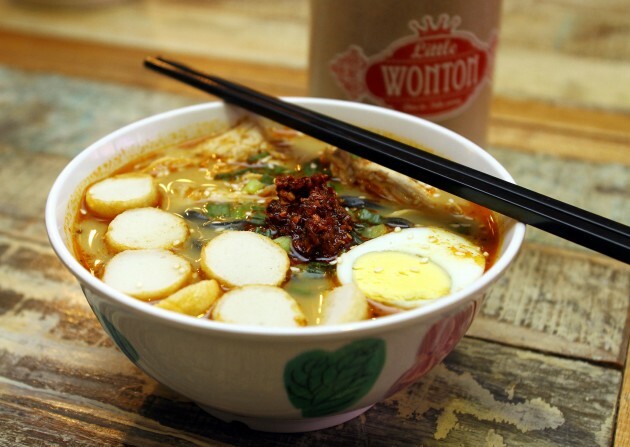 The eclectic little eatery offers air-fried savoury and dessert wontons as well as nutritious charcoal noodles. Friends of 20 years, Bernice Cheong, 38, and Elyn Pow, 37, decided to open up Little Wonton after Pow experimented on snack foods in her own kitchen. 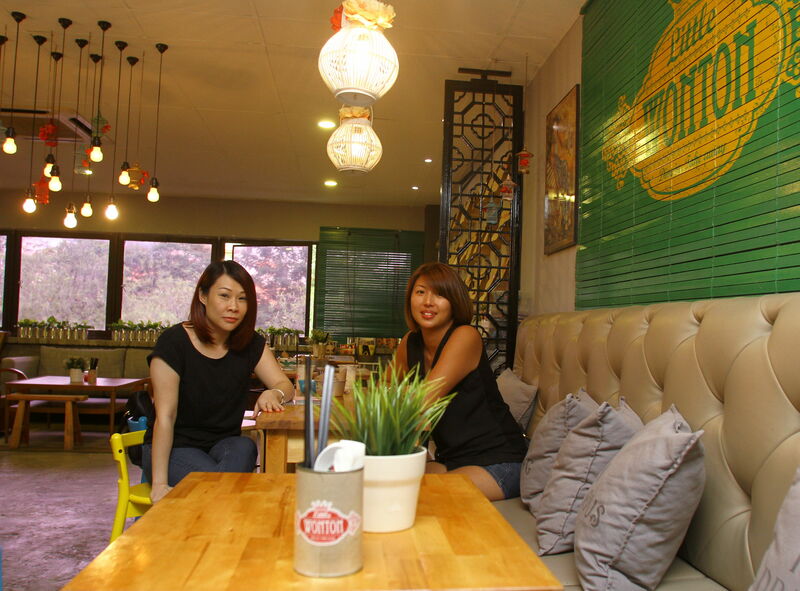 Friends of 20 years, Bernice Cheong, 38 (left), and Elyn Pow, 37, decided to open up Little Wonton after Pow experimented on snack foods in her own kitchen. “We wanted to change people’s perception of snacks by creating healthy snacks that aren’t boring; they don’t have to be unhealthy to be tasty,” said Pow. 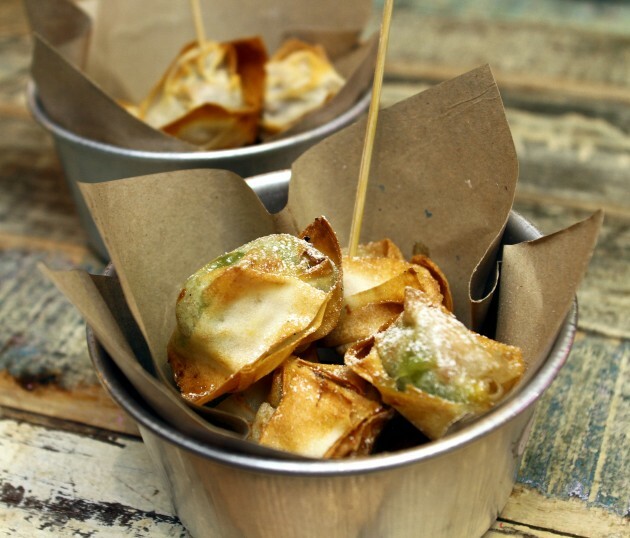 With a mind to change peoples’ perception of snacks by creating interesting yet healthy treats for her children, they describe the wontons as guilt-free comfort food with no added oil or MSG. “Though the crispiness lasts longer deep fried, the healthy element using the air-fried technique was too good to resist,” Cheong exclaimed. 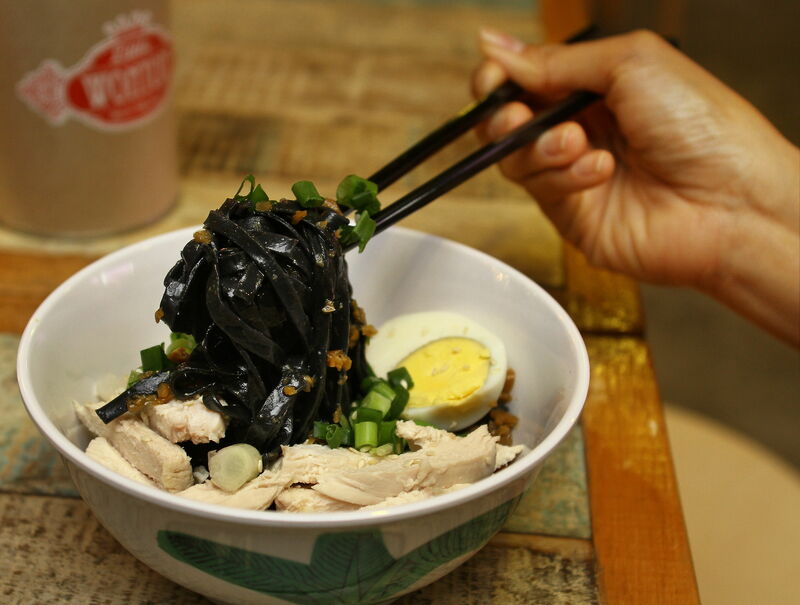 Additionally, the vegetarian charcoal noodles contain nutritious benefits for the digestive system. The Kaya Banana wontons and Mushroom Onion Cheese (back) are a combination of savoury and sweet air-fried wontons. A restaurant favourite is the Mushroom Onion Cheese wontons (RM7.90) stuffed with button mushrooms and imported Australian cream cheese for its buttery richness wrapped in a thin crispy layer of wonton skin. However, choices for the savoury wontons range from Chicken Pineapple Cheese and Curry Potato to Chilli Sardine Onions and Sausage Tomato Cheese. The Curry Laksa charcoal noodles, a spicy treat with local flavours. Centring on common food with an edge to it, the sumptuous charcoal noodles (RM6.90) are springy textured noodles incorporated into familiar flavours from Tomyam Soup and Curry Laksa, to Bolognese and Creamy Roasted Sesame. A signature dish, however, is the unlikely combination of cold Vinegar Garlic Lychee that has a light and delicious tanginess from the apple cider, balanced out by sweet, succulent lychee that brings people back for more. Top off the meal with the sinfully velveteen Banana Chocolate wontons, bursting in silky bittersweet couverture chocolate and luscious bananas. Previously based in Bangsar, Little Wonton made the move to Taman Tun. “We opened up on the first floor, which may be unconventional, but it allows us a bigger space with more privacy and the ability to price our food more affordably,” said Cheong. At RM13 and under, with no service charge for all dishes, the restaurant with its aesthetic mixture of whimsy and old-Shanghai appeal is comfortably laid out for intimate meals while accommodating reservations for a party of 60 people.